Well, I always thought it was LOVE 'EM or HATE 'EM with Peeps and your comments confirmed that. Seems like there are more lovers than haters. 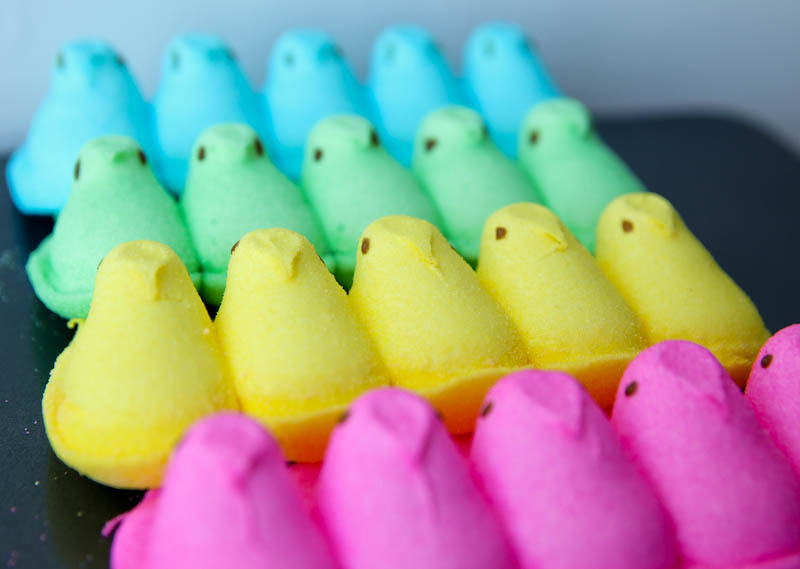 For those of you outside the US, Peeps are baby chick shaped marshmallows covered with colored sugar which you only used to see at Easter time. Just terrible for you which is likely why so many people love them. Now they have them in all shapes and colors and all times of the year. Go figure!